While your sofa mattress, marine or boat mattress worked great in years past, the time might be fast approaching for you to say goodbye to it. 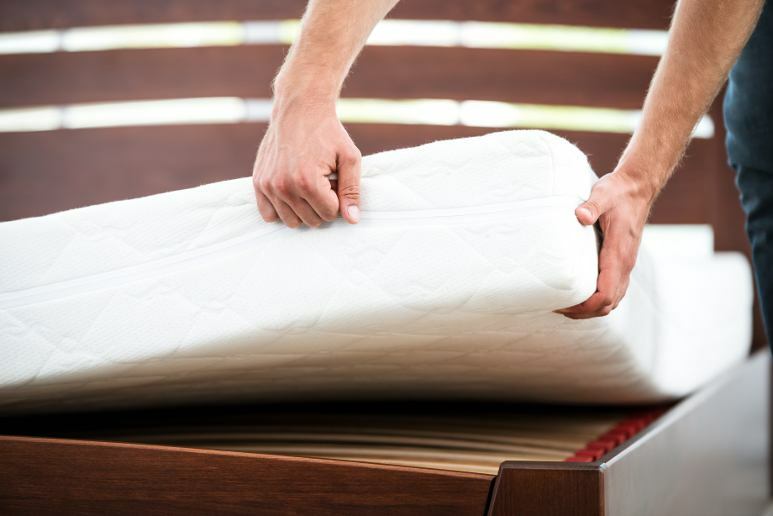 If you are not sure if the time is right for a replacement mattress or not, take a moment to look for the following signs, as these will tell you that it’s time for a change. If one or more of these situations exist, it is definitely time to go shopping. When you purchased the mattress, the surface was most probably level and even to the touch. A quick examination now indicates the presence of bumps and a few minor tears. The fact that the surface is not level anymore could be the reason you don’t sleep as well. Although people generally purchase a sofa replacement mattress when their old one gets in this particular state, most probably they already had at least a few months of poor quality sleep. So make sure you don’t fall in this trap as well. Dealing with back or neck pain during your waking hours does indicate that your current mattress is not providing the support needed, whether were talking about a sofa mattress, a marine or camper mattress. Additionally, your body changes more than you think over time, that including your comfort levels, thus the type of mattress you purchased in the past may not be a good fit today. Your best bet is to try something with a different firmness level and see how you feel. Maybe you noticed it was easier to sleep on your RV mattress during that last camping weekend. Perhaps you slept better the last time you stayed in a hotel. You may have even found it more restful and energizing to sleep on a marine mattress on a friend’s boat this past weekend. While the change of scenery may have something to do with your improved rest, there is a good chance that your current mattress has outlived its useful life. Over time, all sorts of contaminants can settle into the body of any type of mattress (dust and hair particles, which are considered to be a feast by dust mites). That also includes the older sofa bed mattress that doesn’t see a lot of use. If you seem to feel stuffier in the morning, there is a good chance that something in the mattress is the reason. Bedbugs tend to burrow down into sofa bed mattresses and other type of mattresses and lay eggs there. Even if you treat the surface, they will still remain and eventually the infestation will begin all over again. Your best bet is to replace the mattress rather than trying to salvage it. Even with regular cleanings, there still seems to be an unpleasant aroma around the sofa/bed. If the odor is coming from the mattress, replacing it will make you’re the room much more appealing. Your mattress was fine when you lived alone. With someone new in the house, it’s apparent that the mattress is not big enough for the two of you. The only logical thing to do is go shopping and find a mattress to allow both partners to get a good night’s rest. Bodies change over the years. Those changes may be due to weight gains or losses, shifts in the amount of muscle carried on your frame, or even a pregnancy that creates more pressure along certain parts of the body. The bottom line is that while the old mattress was comfortable, it is not that way any longer. You should probably find something that is right for your present rather than your past needs. A good rule of thumb is to replace any mattress at least once every ten years. Even if it seems to be in good shape, chances are you will notice a difference in the quality of your sleep once the switch is made. Of course, if you rarely use your hide a bed mattress then it might still offer the necessary support, and comfort, but be aware of the other signs you should look for when you decide to keep the same sofa mattress for a longer period. You really don’t have to come up with a reason that pleases anyone else. If there is anything about the mattress that you don’t like, now is the time to find something better. Being happy with the mattress will make it much easier to feel comfortable in bed, and certainly promote a more restful sleep. This entry was posted in Boating and Sailing, RV Lifestyle, Sofa Bed Tips, Truckers and tagged Buy RV mattress, Buy sleeper sofa mattress, Buy truck sleeper mattress, Buying a boat mattress. Air Mattress Or Foam Mattress?